Make your bathroom shine with high quality, American made cabinetry. Choose from cherry, maple, alder, hickory, birch, walnut and more. Personalize your cabinet doors to your liking with decorative trim or other embellishments. We offer an endless array of choices that will meet your vision as well as your budget. Replace your old bathroom vanity countertop with your choice of durable granite, quartz, quartzite, marble or concrete. With a vast selection of tones and hues to choose from and various designs like wavy, speckled, sandy; and solid; you're sure to find the right match for your bathroom design. Tile selection and installation are the biggest aspects of any bathroom renovation. Its visual impact is impressive. At New England Kitchen & Bath we have trained designers and tile installation professionals that will help you design, select and install the perfect tile designs for your customized bathroom. 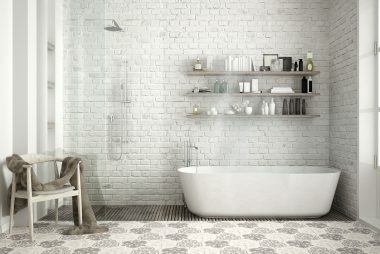 For your shower, floor, vanity backsplash or for other unique applications, we have a wide range of tile options to select from including marble, porcelain, ceramic, granite, travertine, glass and more. Backed by years of experience, our well-trained and highly experienced team of professionals are dedicated to helping you create a luxurious new bathroom space. 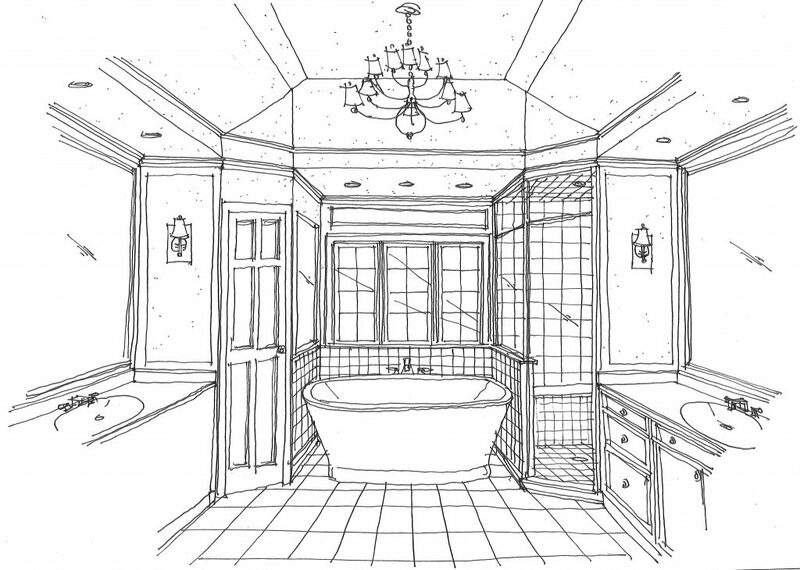 Working with your own personal bathroom designer we will guide you through the entire process. There are many details and decisions to be thought out and discussed during the design phase including layout, materials, styles and finishes. Once a plan is complete we will oversee your renovation project with the highest quality of craftsmanship and attention to detail so that your experience will exceed your expectations. 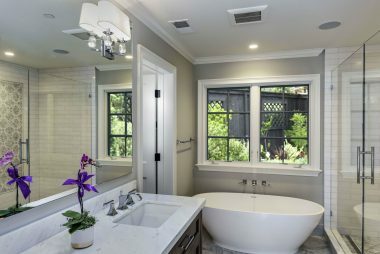 Before you plunge into a full bathroom remodel, there are some important steps to take and several things to consider. The most important step is determining your budget. Not sure what a typical bathroom remodel budget looks like? Stop by our showroom to discuss options with one of our professional designers. This will help you price out your wish list and determine where to set your budget. Here are some more important steps to consider. If you don't plan to use savings to fund your project it's best to start determining your funding before you begin planning your renovation. Home equity loans are the most common and include tax benefits over getting personal loans and other financial methods. Whether you're taking out a home equity loan or personal loan it's important to have your financial institution A) determine the amount of the loan and B) determine the timing of receiving the funds. Take some time to look through magazines and pictures to determine what you like and don't like. Make a bathroom renovation wish list- products, features and styles you would like to see in your new bathroom. Once you have a list, prioritize it to decide which items are most important to you and which are the least important. If need be, weed out items that are low on the list in order to meet your renovation budget. Be sure to plan for 5-10% overage in your budget to upgrade or add items you hadn't yet considered as you make your way through the construction phase. It's quite common to have a "while you're here can you...?" list by the end of the project. After meeting with you to determine your bathroom selections, layout and scope of work we will be able to construct a price quote for you. 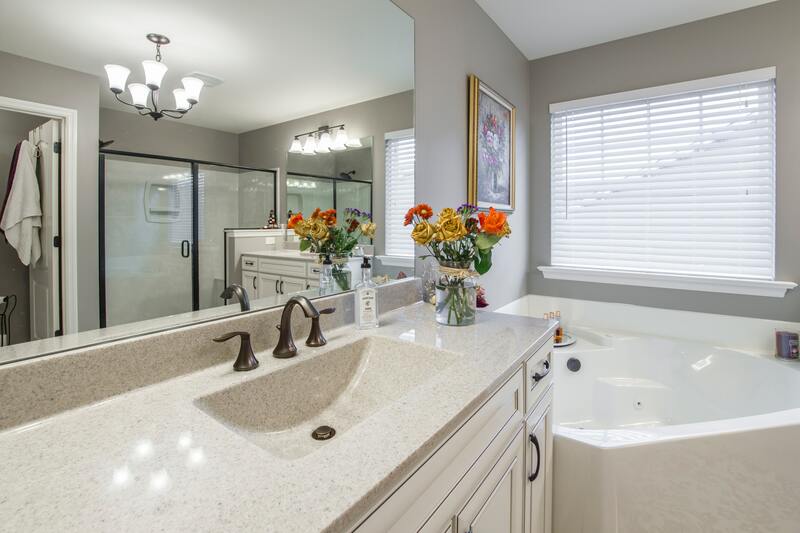 In addition to the construction costs for your project our price quote will include allowances for plumbing and lighting fixtures, tile, and your vanity. Having an all-inclusive price quote will make determining the project cost much easier. Once you have the funding and have hired our professional team of designers and bathroom remodelers we will schedule your project start and completion date. We will set a project timeline with you so that you can easily see who will be working on any given day. This helps bring structure to what can sometimes seem like an overwhelming process. Give us a call at 860-633-6134, Monday through Friday, 8-4pm. We'll be happy to meet with you and provide more information!